I have been building for one year. 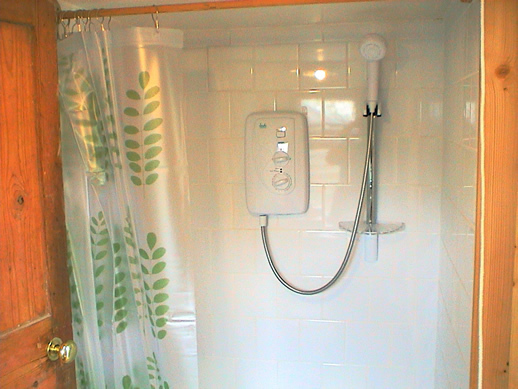 The tedious tiling took ages but now the shower is ready to try and, apart from some grouting, and getting a heated towel rail, the bathroom is just about finished. The edge is ragged because I don't know the exact dimensions of the sauna door yet. 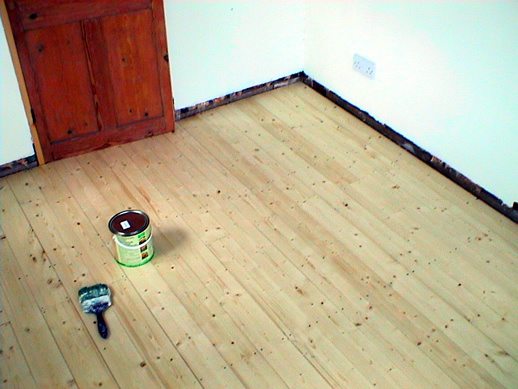 By contrast it took about a day to lay and varnish the floorboards in the main room. My first intention was laminate flooring but floorboards look better, are more satisfying to work with, I imagine, and come in at a similar or only slightly higher price.